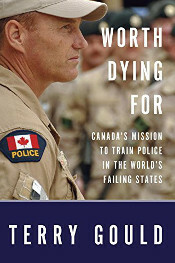 Published on the twenty-fifth anniversary of the RCMP's first international police training mission, Worth Dying For is a brilliantly reported account of a year in the life of our "CivPol" contingents in Afghanistan, Palestine and Haiti. It is also an intimate portrait of the idealism and courage with which our police officers undertake this complicated and dangerous work, brought to us by the only journalist ever granted unfettered access to these missions. Organizations such as the Committee to Protect Journalists and Reporters sans frontières bring us the death toll from around the world, and that number is truly daunting: since 1992 more than 730 journalists have been killed--nearly three-quarters of them targeted and murdered. Over 85 per cent of the fallen have been local journalists trying to unveil violence and corruption in their own back yards. Worse, 95 per cent of the people who ordered their murders remain unpunished. "A book of love and passion. 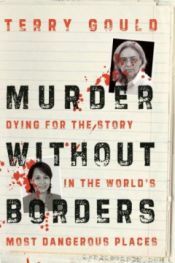 The portraits of slain journalists who reported from the world's most dangerous places are unquestionably tragic, but this book is uplifting and even inspiring." Back in 1990, a cocky 26-year-old Asian mobster named Steven Wong answered a knock at the door of his mansion in Vancouver and invited reporter Terry Gould into his living room. Neither of their lives would ever be the same. 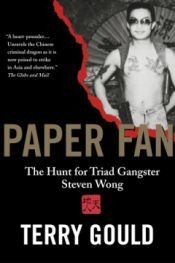 Steven Wong was head of the Gum Wah Gang, suspected of heroin trafficking, 14K Triad status and bloody murder in the streets of Vancouver. Gould, wearing a wire and secretly recording Wong for a ground breaking two-part CBC TV exposé, was getting to know the "destroyer of lives who became my life's work, my life's study, my obsession." 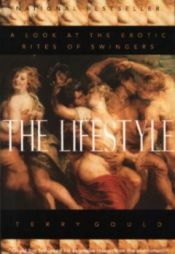 The Lifestyle, first published in early 1999, broke the story that millions of middle-class married couples in North America belonged to a worldwide subculture that the media had dismissed as "swinging"--a misfit relic of the 1960s--but which was (and still is) much more than that to its heartland members. It's "the lifestyle"--the name mainstream couples give to their worldwide movement, whose rules of open eroticism and spouse-sharing are as paradoxically formal as those governing any service organization.